Oscar Pistorius’ murder trial in South Africa, dubbed the trial of the century, has hogged the limelight since he was arrested and charged for killing his girlfriend Reeva Steenkamp on Valentine’s Day last year. The court room in the Pretoria High Court has become the focal point of the world’s media. Pistorius’ lawyer Barry Roux stole the show when he impressed both friend and foe by tenaciously laying bare inconsistencies in witnesses’ testimonies, narrowing in on forensic evidence incorrectly secured by officers at the crime scene, and challenging the state’s version of events. Prosecutor Gerrie Nel has contested the defence’s evidence with equal tenacity. The legal spectacle that is unfolding has provided a breath-taking expose of the South African criminal justice system. This has led some commentators to conclude that the justice system itself is on trial. 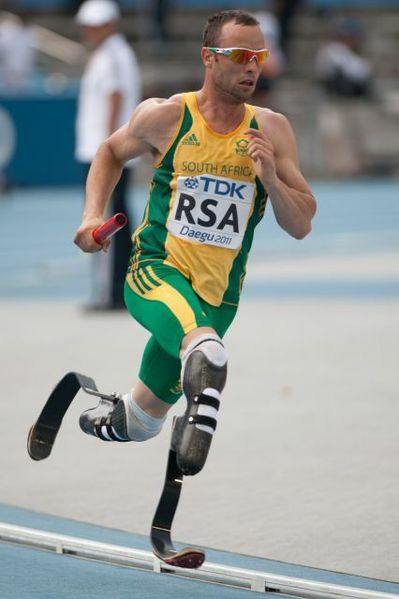 Oscar Pistorius — “Blade Runner” — during 2011 World championships athletics in Daegu. Photo by Erik van Leeuwen, GNU Free Documentation License. The so-called OP case however, is hardly representative of the criminal justice system in this country, but rather exposes the ugly face of class justice. The trial has revealed a level of quality of the legal process that the criminal justice system is capable of producing, when a defendant with ample financial resources is on trial and the glaring spotlight of the world’s media is focused on court officials. British honeymoon murder accused Shrien Dewani’s arrival in a privately chartered plane – paid for by the Department of Justice – flanked by medical staff to tend to his unstable mental condition, similarly sends the message that the South African courts respect and uphold human rights, most importantly the right to a fair trial. But ordinary South African citizens are by no means guaranteed a fair trial. They battle a dysfunctional court system where bail is denied for no apparent reason, transcripts go missing, where lengthy delays put presumed innocent suspects behind bars for years, where overworked state-funded lawyers do not bother to question glaring inconsistencies, shoddy evidence and lying police officers. Inmates with medical conditions struggle to access medication, medical staff and legal relief for their conditions. OP’s VIP treatment in court became apparent a year ago when judge Desmond Nair presided over an unusually lengthy bail hearing where the pros and cons of Oscar’s bail application were discussed. Nair balanced the interests of justice and of society with Oscar’s individual needs, as the law requires. He awarded bail to the Olympic athlete under very generous conditions, including permission to travel abroad. A visit to any magistrate’s court in Johannesburg will reveal that most bail hearing last just a few minutes. Moreover, suspects charged with serious crimes, so-called schedule 6 offences, including the premeditated murder Pistorius is charged with, often fail or are not given the opportunity to prove the ‘exceptional circumstances’ that justify their release on bail. One of the decisive factors in any bail decision is whether the accused will endanger the safety of the public or any particular person. It is interesting in this respect that trigger-happy Pistorius was awarded bail so swiftly, while, for example, Victor Nkomo — who was charged with aiding a casino robbery in 2005 but who never handled a gun — has been denied bail repeatedly. 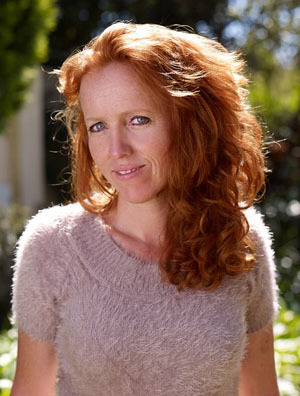 Researchers of the Open Society Foundation for South Africa concluded in 2008 that bail was granted to only 3 per cent of accused on first appearance before a judge in Johannesburg and Mitchell’s Plain. According to Legal Aid South Africa there are approximately 10,000 people languishing in South African jails who have been awarded bail but were unable to pay the often small amount. Not only was Pistorius granted bail under very generous conditions, the organization of his trial has also been quite impressive. The courts have allocated a sequence of court dates for the para-Olympic that most accused can only dream of. Recently, an extension of the trial into April was announced, as the defence still has to hear several witnesses. The prioritized and speedy allocation of Dewani’s and the Blade Runner’s trial is, again, in stark contrast with the sluggish pace of most criminal trials, that see suspects remanded endlessly. Shoddy legal representation can mean that accused end up in jail based on flimsy or non-existent evidence that is not sufficiently challenged in court. This can have disastrous effects, as David Mkhwanazi found out. In 2006, he ran to catch a train, yet never made it to the platform because the police grabbed and arrested him. They thought he was running away from the group arrest they were conducting for the murder of a factory owner in Westonaria. The murder trial that ensued was plagued by repeated delays. Since 2007, when the trial started, it has ground to a standstill for 13 months in total. The judge was allocated to a civil case twice and one of the accused needed an operation. In addition to these months where nothing happened, there have been dozens ad hoc postponements. The lawyers were ill, had vehicle problems, or they simply didn’t show up. The prosecutor also caused postponements, once claiming she “had a headache”, another time that “a public works strike in Lenasia jeopardised her “children’s safety”. Half a year ago, six years after his arrest, the judge assessed the evidence against Mkhwanazi and released him immediately. Mkhwanazi did not have a lawyer who picked apart the evidence against him. Instead, his Legal Aid lawyer advised him to sign a confession of guilt, to speed up the trial. Mkhwanazi was jailed in the remand section of Sun City, Johannesburg’s notoriously overcrowded prison, where gang violence and contagious diseases flourish. Not surprisingly, he contracted TB. Dudley Lee also contracted TB while he awaited his trial in the notorious Pollsmoor prison in Cape Town from 1999 to 2004. Where Dewani has a 24/7 access to medical staff, Lee had to bribe guards and nurses to access his TB medication. After his acquittal in 2004, he successfully sued the state for the infection with the highly treatable disease. Inmate Bobby Leping was not so lucky. He was charged with possession of an illegal firearm in 2009 and contracted TB while awaiting his trial in Pretoria’s Local Prison. When his sisters came to pick him up after he was acquitted in 2012, they found him, barely alive, on a patch of grass outside the prison, where the warders had left him. His applications for medical parole had been refused repeatedly. Leping died several weeks after his release. The longest awaiting trial detainee in the country, Victor Nkomo, does have a committed legal team, yet he has been incarcerated in the remand section of Sun City for nearly eight years, because of court delays. Nkomo was accused of aiding an armed robbery at his workplace in Montecasino in 2005. He allegedly showed the robbers where the vault was. Despite the unconstitutionality of his disproportionate lengthy pre-trial detention, magistrate Vincent Pienaar recently turned down an application for him to be released, as it was ‘not in the interest of justice.’ He responded to Nkomo’s lawyer’s 30 page legal memo arguing his release in five minutes flat and didn’t offer any further motivation. The prosecutor has indicated the trial will most likely last another three years. Nkomo’s fate is all the more pressing when the evidence against him is considered: one single affidavit of a suspect who was in possession of the stolen money and claimed it belonged to him. Nothing else. The Wits Justice Project regularly receives complaints from inmates convicted based on a single piece of tenuous evidence. The Wits Justice Project regularly receives complaints from inmates throughout the country who have been convicted on the basis of a single piece of often tenuous evidence. Thuba Sithole, for example, was walking home on Gemsbok Road in Johannesburg from his job at Pick and Pay on 31 August 2007, when a police van pulled up and three officers arrested him and another man he had never met. Around the corner, an attempted car hijack had just taken place. Two of the three women who had just been robbed were in the car with the police and they claimed Sithole was one of the three men who had robbed the women at gun point as they were leaving the house. The robbers got into women’s car, but when they realised the car was gear locked they ran off and the police arrested two of the three men ten minutes later. Statements by the three women that Sithole had robbed them formed the only evidence against him. There were no fingerprints taken in or on the car, no ID parade was held, and the stolen goods were not found on him. The women’s statements were riddled with inconsistencies. One of them claimed Sithole was wearing a red shirt, while later she changed it to a Pick&Pay T-shirt. When asked why she thought it was him, one of the women answered: “because the arresting officer as well as Simone and Lisa (the other complainants) are sure it is him.” One of the women said he had short hair, while the other said he was bald. One said he was wearing track suit bottoms, the other was convinced he wore jeans. They also admitted that they lost sight of the suspects when the police were chasing them. The deciding factor for the presiding magistrate Mudau, when he sentenced Sithole to 15 years imprisonment and denied his leave to appeal, was the fact that Sithole had an ‘Ayanda’ listed in his cell phone. Sithole’s co-accused was called Ayanda. No one bothered to phone the Ayanda in Sithole’s phone. If they had, they would have found out that Ayanda was in fact Sithole’s girlfriend with whom he has a child. Calvin Moyo had a similar experience. In 2008, he went to see his sister in court, who had been charged with an armed robbery of an Indian family for whom she cleaned. When Moyo went down to the court cells to speak to his sibling, a member of the Indian family pointed him out to the police, who arrested him on the spot. Moyo ended up in the cell with Nkomo in Sun City for nearly two years, before a judge assessed the evidence against him – which was non-existent – and released him. Barry Roux would no doubt have ripped the case to pieces and secured an immediate release for Moyo and an acquittal for Sithole. Witnesses, investigating officers, blood splatter experts, forensic and ballistic experts have been called to testify in the OP case, re-enactments with cricket bats have taken place, whatsapp messages read out, graphic crime scene photos discussed. When an indigent South African is arrested, however, the cogs of the court system turn incredibly slow and seemingly not much heed is paid to the principles of a fair trial. Private prison operator accused of using drugs and electric shocks, By Ruth Hopkins, a F&O Justice section Dispatch. What has gone so horribly wrong with South Africa’s police? By Ruth Hopkins, a F&O Justice section Dispatch.